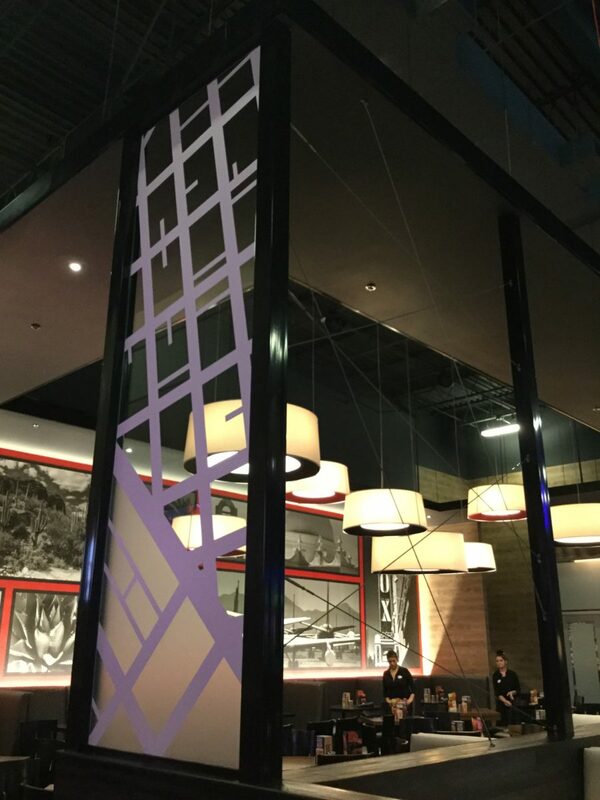 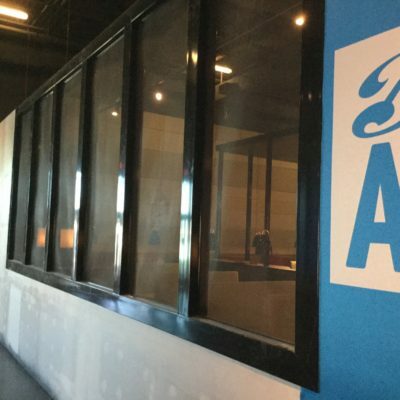 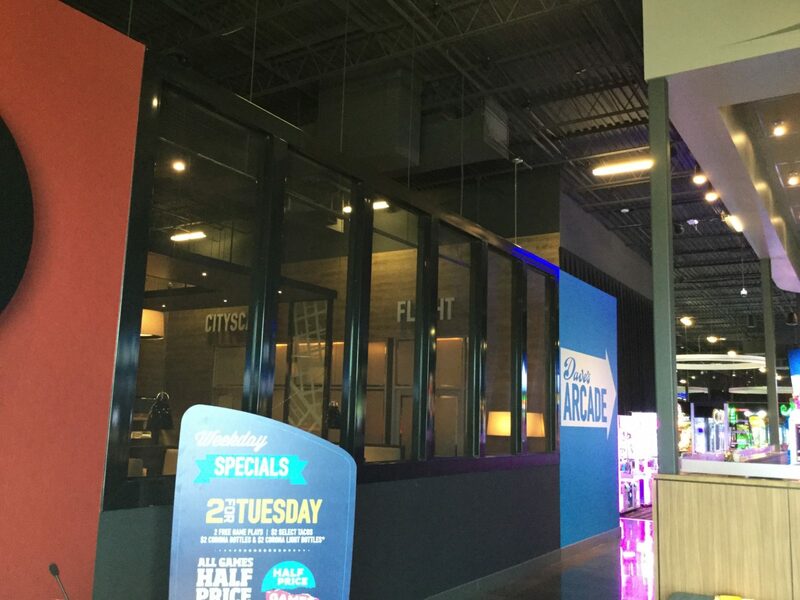 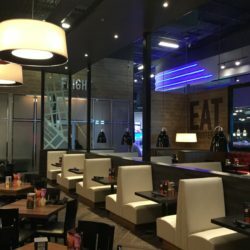 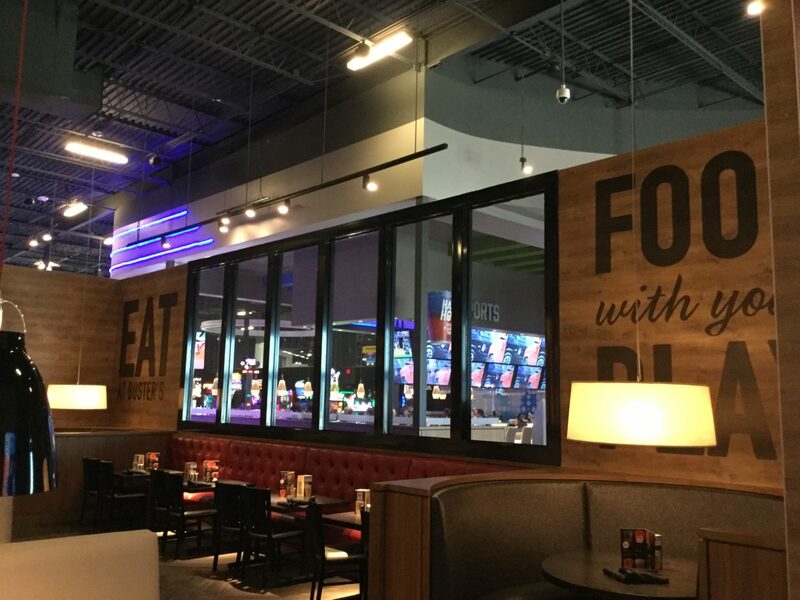 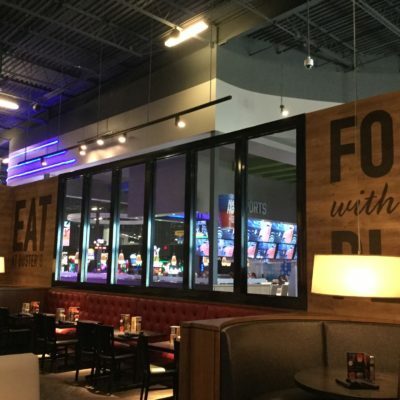 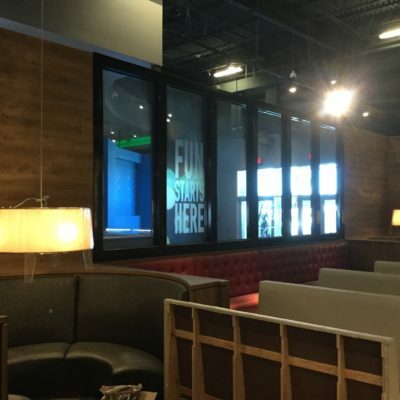 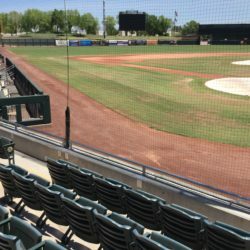 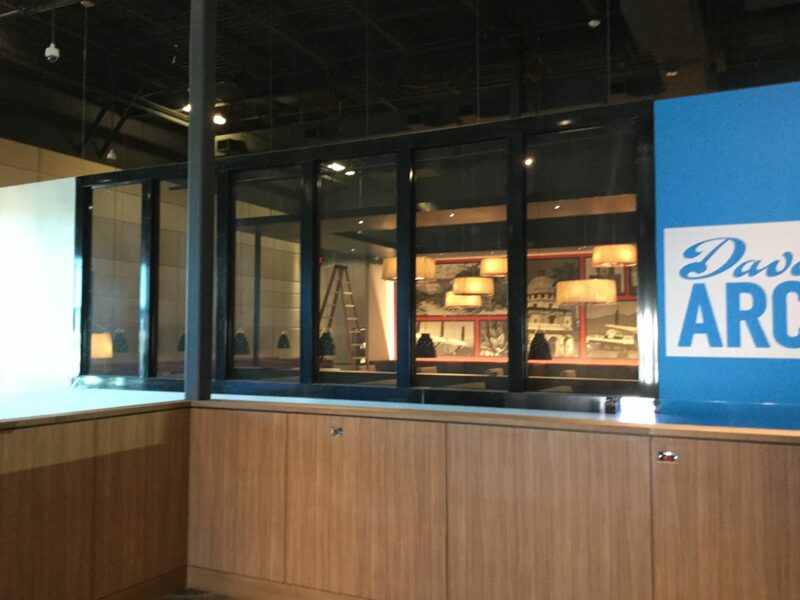 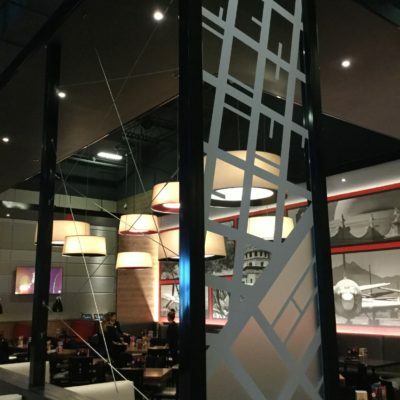 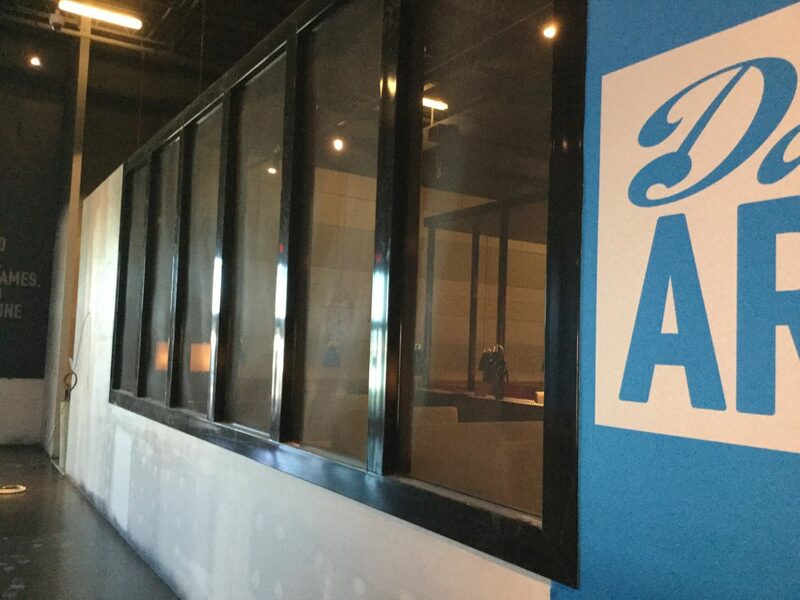 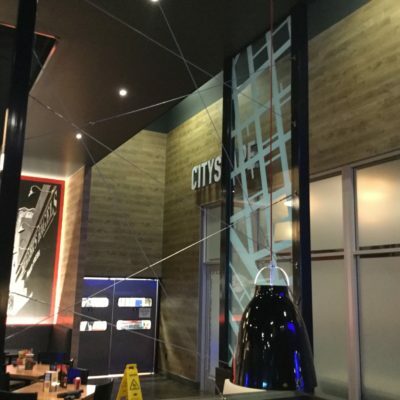 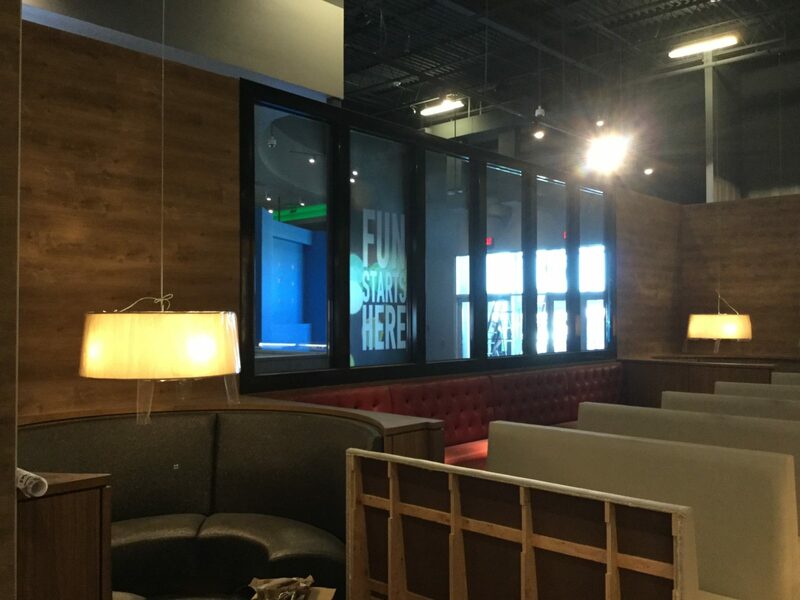 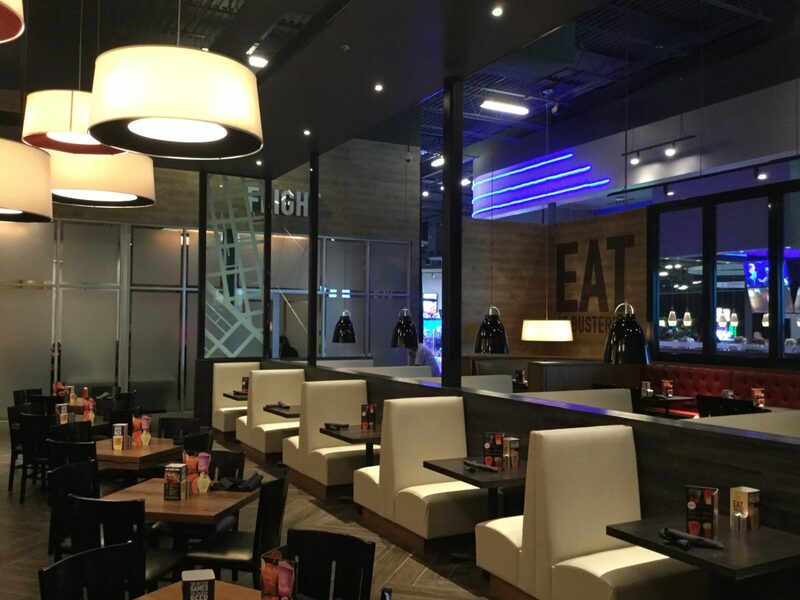 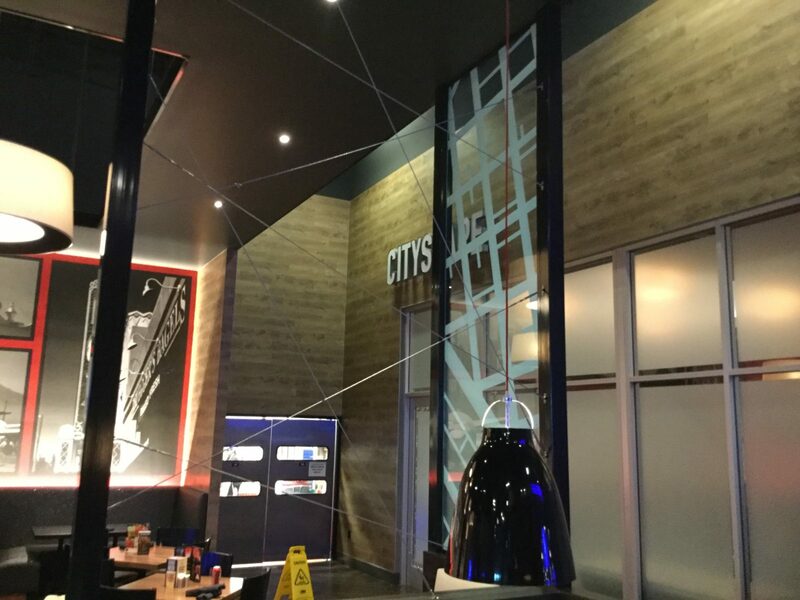 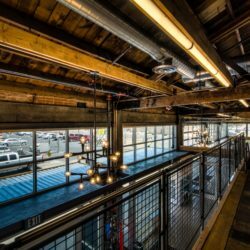 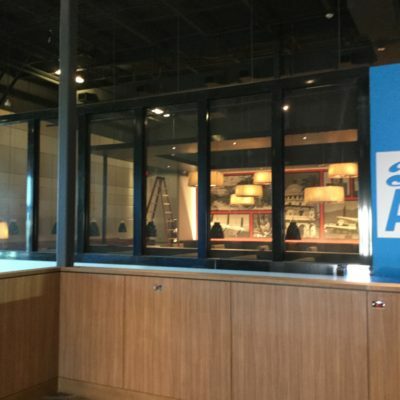 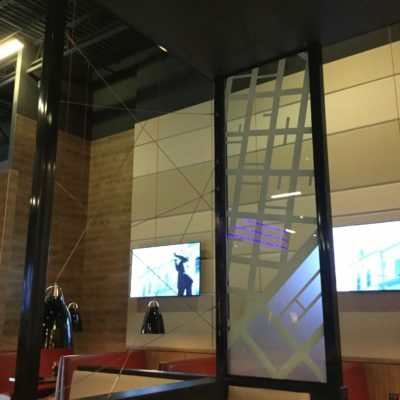 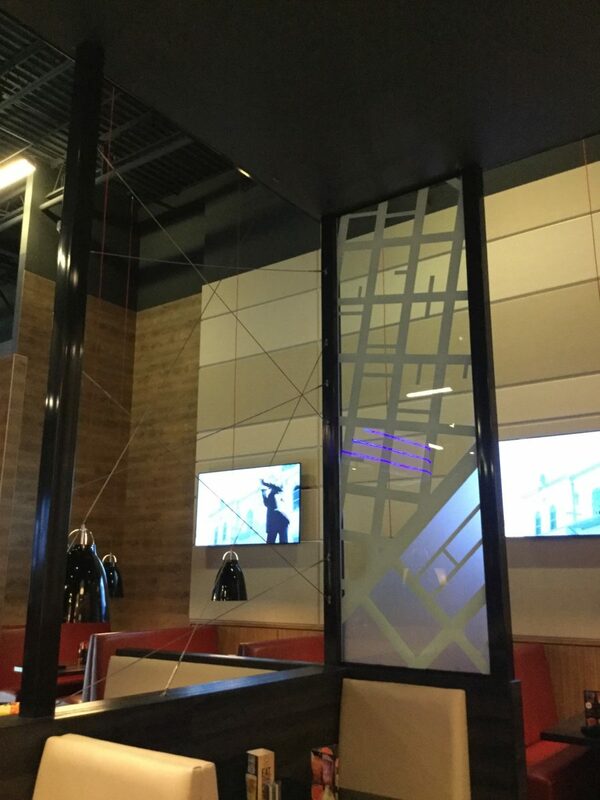 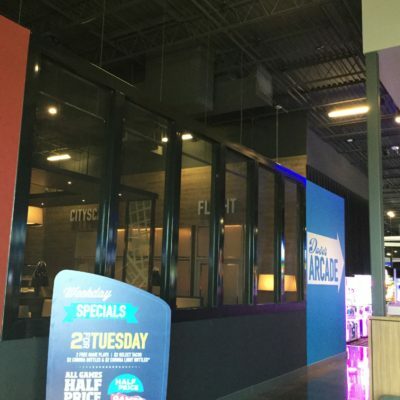 RJ Russo was pleased to partner with AR Mays, General Contractor, on the interior design for the first Tucson location of the national sports and entertainment chain Dave & Buster’s. 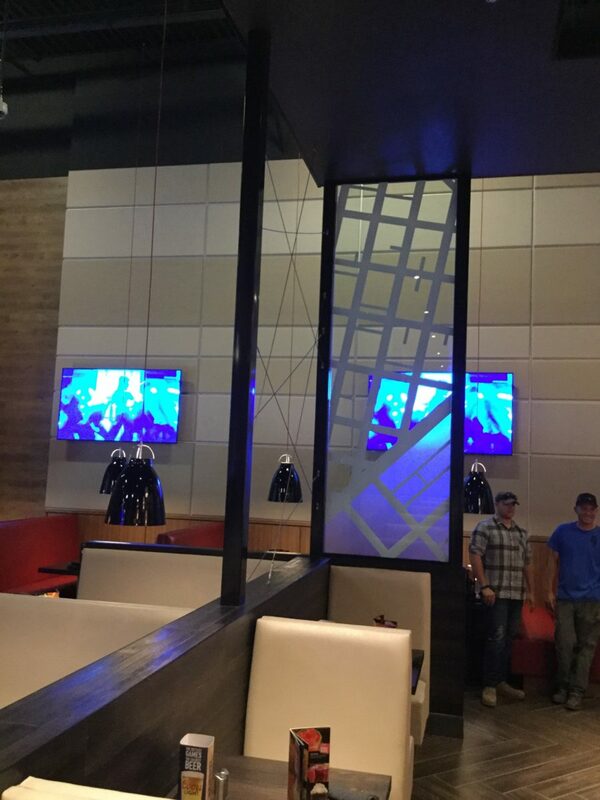 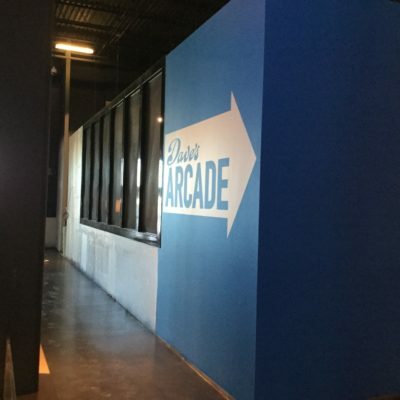 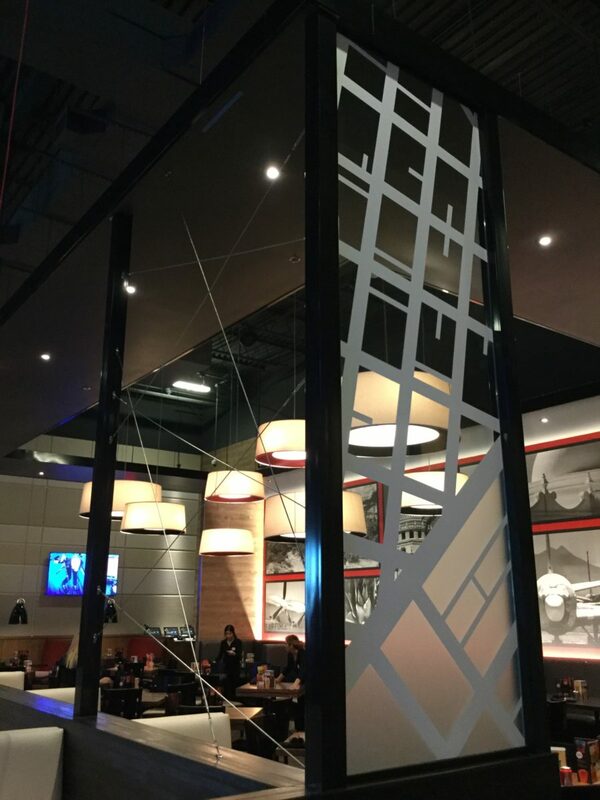 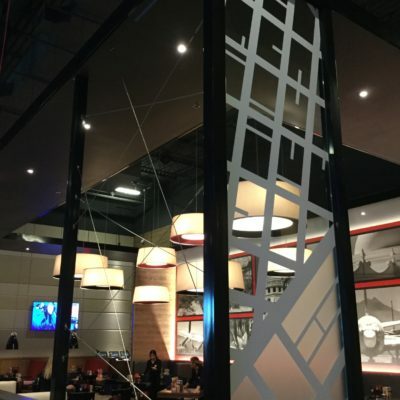 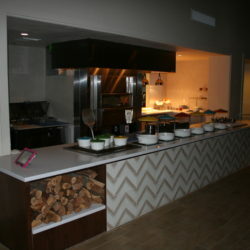 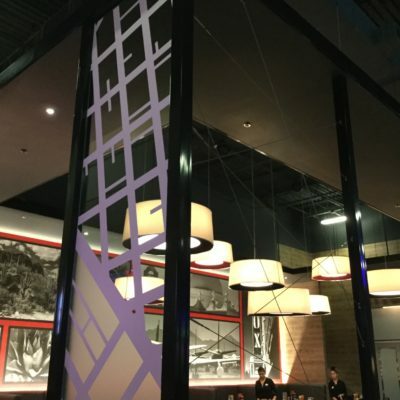 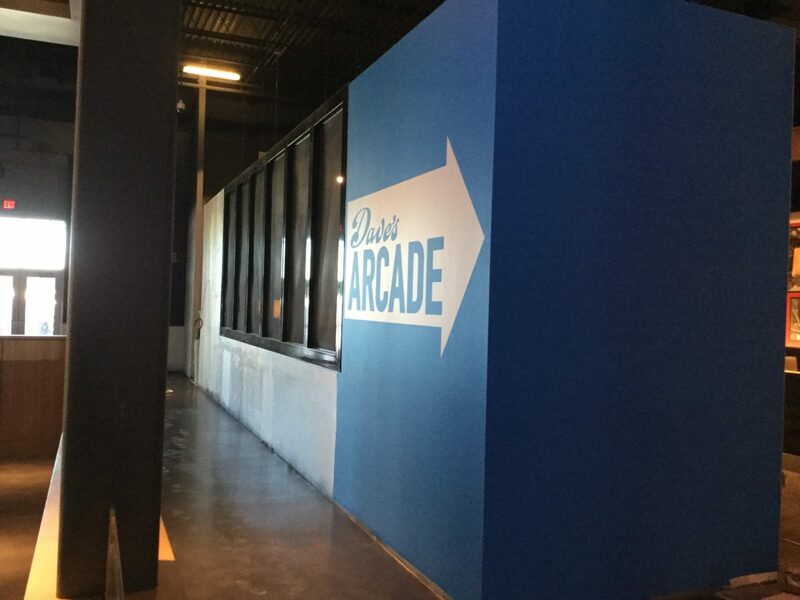 A 40’x20’ powder coated steel decorative wall was designed, fabricated and installed to divide the customer and gaming area from the kitchen. 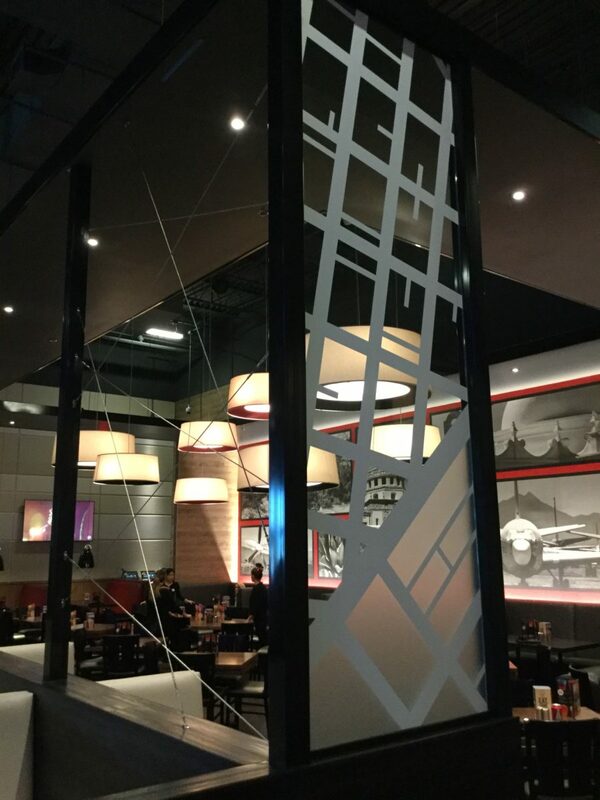 The partition was fabricated in modular pieces using a combination of steel, mesh panels, glass, and wire systems. 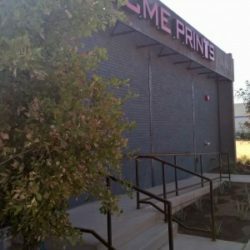 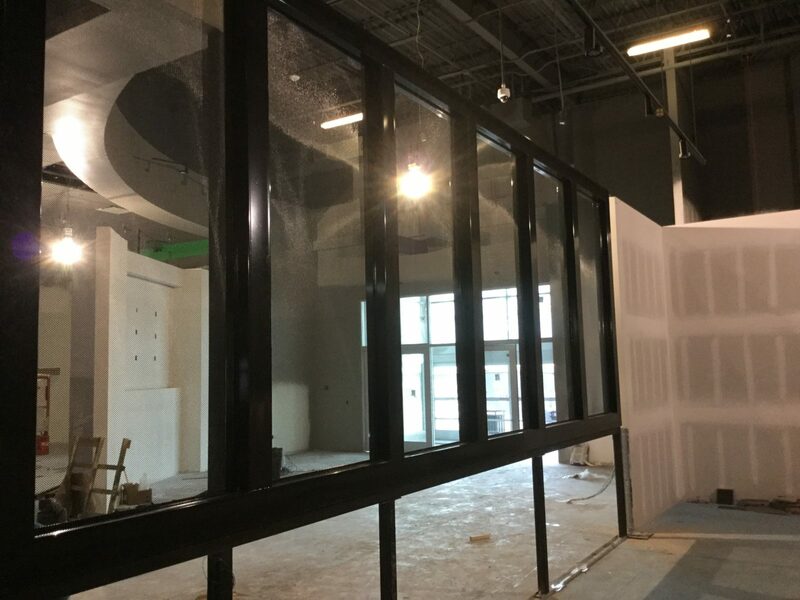 Custom steel carts were designed to transport the steel for powder coating in Phoenix and to be installed in the Tucson location. 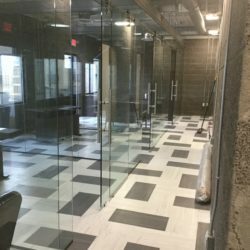 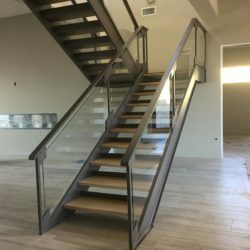 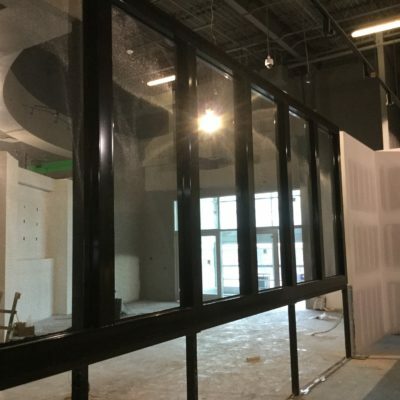 The final partition wall appears seamless and integrates into the modern steel and glass interior.